Anon. 1838. 3rd edition. The Corporation Annual; or, Recollections (not random) of the first reformed town council, of the Borough of Newcastle Upon Tyne. W. Boag, Newcastle upon Tyne. Anon. 1855a. Second Series of Recollections (not random) of the first reformed town council, of the Borough of Newcastle Upon Tyne. Wesley and Co. London and Joseph Barlow, Newcastle upon Tyne. Anon. 1855b. Sketches of Public Men of the North. Revised and Corrected. The Northern Examiner Office, Newcastle upon Tyne. Anonymous. 1890a. In Memoriam. Mr. John Clayton of Chesters. Printed at the 'Daily Journal' office, Clayton St, Newcastle upon Tyne. Anonymous. 1890b. ‘John Clayton, Solicitor and Antiquary’, Monthly Chronicle of North-Country Lore and Legend, Vol. 4 (43), 422- 426 Walter Scott, Newcastle upon Tyne. Bruce, J. C. 1892. 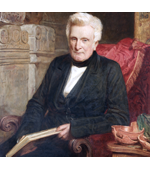 ‘John Clayton, F.S.A. One of the Vice-Presidents’, Archaeologia Aeliana 2nd Series, Vol. XV, 90-95. Budge, E.A.W. 1903. An Account of the Roman Antiquities preserved in the Museum at Chesters Northumberland. Gilbert and Rivington, London. Hingley, R. 2012. Hadrian's Wall: A Life. Oxford University Press, Oxford. McIntosh, F. 2014. ‘The Wall’s First Great Collection: the Clayton Collection’, 188-193, in Collins, R. and McIntosh, F. (eds.) Life in the Limes. Studies of the people and objects of the Roman frontiers presented to Lindsay Allason-Jones on the occasion of her birthday and retirement. Oxbow. Welford, R. 1895. Men of Mark 'twixt Tyne and Tweed. Walter Scott, London. Whitworth, A.M. 2012. Hadrian’s Wall Through Time. Amberley, Stroud. Woodside, R. and Crow, J. 1999. Hadrian’s Wall. An Historic Landscape. National Trust. Clayton, J. 1844.‘Account of an Excavation recently made within the Roman Station of Cilurnum’, Archaeologia Aeliana 1st Series, Vol. III, 142. Clayton, J. 1861.‘Roman Bridge of Cilurnum’, Archaeologia Aeliana 2nd Series, Vol. V, 142-3. Clayton, J. 1865.‘The Roman Bridge of Cilurnum’, Archaeologia Aeliana 2nd Series, Vol. VI, 80-6. Clayton, J. 1876.‘Notes on an Excavation at Cilurnum’ Archaeologia Aeliana 2nd Series, Vol. VII, 171ff. Clayton, J. 1884.‘On a Roman Signet-Ring, representing a Chariot Race, found at Cilurnum in July, 1882’ Archaeologia Aeliana 2nd Series, Vol. X, 133ff. Clayton, J. 1886.‘On an Altar to Fortuna Conservatrix from Cilurnum’ Archaeologia Aeliana 2nd Series, Vol. XI, 117ff. Clayton, J. 1855. 'Account of Excavations at the Mile Castle of Cawfields, on the Roman Wall', Archaeologia Aeliana 1st Series, Vol. IIII, 54-59. Clayton, J. 1859a. 'The Thorngrafton Find', Archaeologia Aeliana 2nd Series, Vol. VIII, 269-72. Clayton, J. 1865a. 'Fibulae from Borcovicus', Archaeologia Aeliana 2nd Series, Vol. VI, 225. Clayton, J. 1876. 'Notes of an excavation of a turret of the Roman Wall', Archaeologia Aeliana 2nd Series, Vol. VII, 256- 260. Clayton, J. 1880a. 'Description of Roman Remains Discovered near to Procolita, A Station on the wall of Hadrian.' Archaeologia Aeliana 2nd Series, Vol. VIII, 1-20. Clayton, J. 1880b. ‘Continuation of Description of, and Remarks on, the Temple of Coventina and its Contents', Archaeologia Aeliana 2nd Series, Vol. VIII, 20-39. Clayton, J. 1880c. 'Discovery of a hoard of Roman coins on the Wall of Hadrian, in Northumberland', Archaeologia Aeliana, 2nd Series, Vol. VIII, 256-65. Clayton, J. 1883a. 'Observations on centurial stones found on the Roman Wall, Northumberland and Cumberland', Archaeologia Aeliana 2nd Series, Vol. IX, 22-36. Clayton, J. 1883b. 'Recent Discoveries at Cawfields, on the Roman Wall', Archaeologia Aeliana 2nd Series, Vol. IX, 211-19. Clayton, J. 1885b. 'On the Discovery of Roman Inscribed altars etc at Housesteads Nov 1883', Archaeologia Aeliana 2nd Series, Vol.X, 146-50. Clayton, J. 1886. 'On an altar to "Fortuna Conservatrix"', Archaeologia Aeliana 2nd Series, Vol.XI, 117-9. Bruce, J. C. 1865. 'Mural Notes', Archaeologia Aeliana 2nd Series, Vol. VI, 220-4. Bruce, J. C. 1871. The Story, Partly Sad and Partly Gay, of the Thorngrafton "Find". For Private Distribution, Newcastle upon Tyne. Bruce, J. C. 1880a. 'An Account of the Excavation of the South Gateway of the Station of Cilurnum', Archaeologia Aeliana 2nd Series, Vol. VIII, 211-221. Bruce, J. C. 1881. 'On the Forum of the Roman Station at Cilurnum', Archaeologia, Vol. 46, 1-8. Bruce, J. C. 1885a. ‘Notes on the recently discovered Turrets on the Walltown Crags’, Archaeologia Aeliana 2nd Series Vol. X, 57- 8. Bruce, J.C. 1886 ‘Note on an Inscribed Votive Ring from Cilurnum’, Archaeologia Aeliana 2nd Series, Vol. XI, 235. Bruce, J. C. 1889. 'Some Excavations at Chesters', Archaeologia Aeliana 2nd Series, Vol. XIII, 374-78. Bruce, J.C. 1889	‘Inscribed Stones at Chesters’, Archaeologia Aeliana 2nd Series, Vol XIII, 357. Longstaffe, W.H.D. 1861 ‘Cilurnum’, Archaeologia Aeliana 2nd Series, Vol. V, 148. Leader, J.D. 1885 ‘Notes on a Roman Knife found at Cilurnum’, Archaeologia Aeliana 2nd Series, Vol. X, 115-20. MacDonald, G. 1930. 'The Bath-house at the fort of Chesters (Cilurnum)', Archaeologia Aeliana 4th Series, Vol. VIII, 219-304. Philipson, J. 1886 ‘Roman Horse Trappings compared with Modern Examples, with special reference to Roman Bronzes discovered at Cilurnum and South Shields’, Archaeologia Aeliana 2nd Series, Vol. XI, 204-15. Watkin, W.T. 1889 ‘Inscriptions from Cilurnum, etc.’, Archaeologia Aeliana 2nd Series, Vol. XIII, 190-2. Roach Smith, C. 1880. ‘Numerical View of Coins Found in the Well’, Archaeologia Aeliana 2nd Series, Vol. VIII, 43-49. Bidwell, P. and Snape, M. 1993. The Roman fort of Chesters and its environs. A survey of the extent and preservation of the archaeological deposits. Tyne and Wear Museums. Grenville, J, Gourley, H., Harrap, A., Rawson, D. and Roskams, S. (York University). Feb 2002. 2001. Conservation Plan. Chesters Roman Fort. English Heritage. Allason-Jones, L. 1988. ''Small Finds' from Turrets on Hadrian's Wall', 197- 233 in Coulston, J.C. (ed.) Military Equipment and the Identity of Roman Soldiers. Proceedings of the Fourth Roman Military Equipment Conference. BAR Int. Series 394. Archaeopress, Oxbow. Allason-Jones, L. and Mckay, B. 1985. Coventina's Well. A Shrine on Hadrian's Wall. The Clayton Trustees. Humshaugh. Bidwell, P. and Holbrook, N. 1989. Hadrian's Wall Bridges. English Heritage Archaeological Report no. 9. HBMCE, London. Coleman, R. J. and Coleman, A. J. 1987. 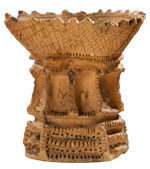 'A German Siegburg Beaker in the Chesters Museum collection', Archaeologia Aeliana 5th Series, Vol. XV, 315-7. Collingwood, R.G. 1926. A Guide to the Chesters Museum. Newcastle upon Tyne. Collingwood, R.G. and Wright, R.P. 1965. The Roman Inscriptions of Britain I. Inscriptions on Stone. Clarendon Press, Oxford. Collins, R. 2010. ‘Brooch use in the 4th–5th century frontier’, 64-77 in Collins, R. and Allason-Jones, L. (eds) Finds from the Frontier. Material Culture in the 4th-5th centuries. CBA Research Report 162, York. Hedley, W. P. 1931. 'The Walbottle (Throckley) Hoard of Roman Coins', Archaeologia Aeliana 4th Series, Vol. VIII, 12-48. Hudak, E. 2013. Mortaria in the Clayton Collection: A Report. Unpublished Mlitt assignment, Newcastle University. McIntosh, F. 2016. 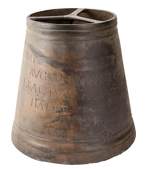 ‘The Clayton Collection; Militaria and much more!’ 215-218, in Pauli Jensen, X and Grane, T. (eds) Imitation and Inspiration Proceedings of the 18th International Roman Military Equipment Conference, Copenhagen 2013. JRMES Vol. 17. Rowlands, M. 1939. 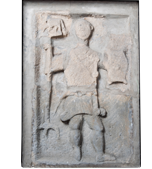 A Compendium of the Published material relating to the Roman Fort at Chesters. Unpublished BA dissertation, Durham University. Snape, M. 1993. Roman Brooches from the North of Britain. A classification and a catalogue of brooches from sites on the Stanegate. BAR British Series 235. Archaeopress, Oxford. Sockett, E. W. 1971. The Stanegate. MLitt Thesis, Newcastle University.